The Australian company Tiger Engineering Pty, which for years developed Caterpillar wheel loaders independently on the basis of Caterpillar wheel loaders, was incorporated by Caterpillar in 1997. Shortly after its introduction in 1998, the TIGER 790G Wheel Dozer was introduced by Caterpillar as a Caterpillar 854G Wheel Dozer and was the most powerful Wheel Dozer in the world at the time. 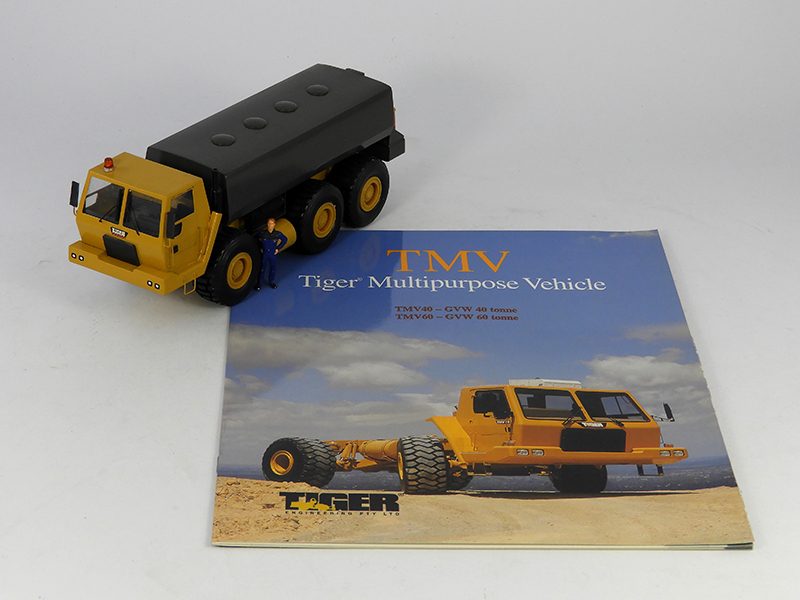 The Tiger TMV60 has also been built using Caterpillar components such as the 35-ton (32 tonne payload) Caterpillar D350D Articulated Dump Truck (ADT) and the Caterpillar 3306 Turbo Diesel Engine providing 300 hp and thus forms the basis for their Multi-Purpose Vehicle (MPV) used in the mining industry and available in numerous designs as a water bowser or fuel truck. My first impression: The TIGER TMV 60 is certainly not the most detailed scale model in my collection but precisely because the scale model also uses the same components as the 1:1 (namely the Caterpillar D350D from ERTL in scale 1:50 with #2431) and the cabin is spot on, the final result is definitely a unique custom scale model and a very welcome addition to my PoweredbyCAT series. 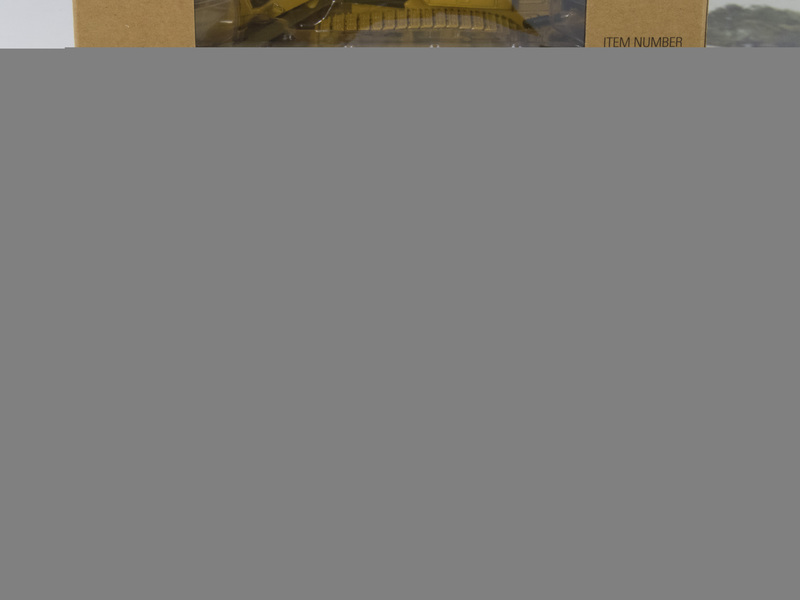 Besides the "US Army" scale model there is a “Old Highway Yellow” civil version available. Both version will be on display during the Modelshow Europe 2019 in Ede, The Netherlands on March 16th 2019. The new Caterpillar 336, also announced as the "Next Generation Design" or short “Next Gen” Caterpillar Track-Type Hydraulic Excavator is the successor to the "F" Series in 1:1th scale, but because Caterpillar has changed his machine type numbering and stopped adding the successor letter it will not appear as the "G" Series. 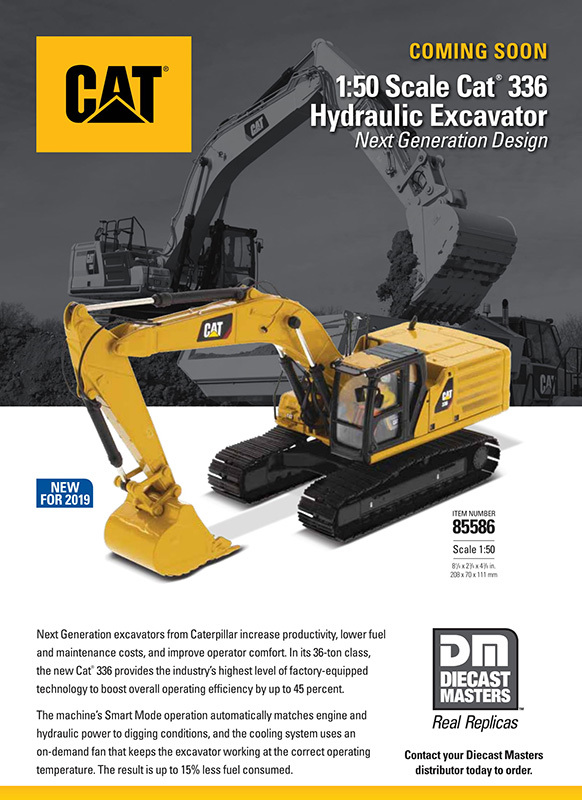 The Caterpillar 336 “Next Gen” Hydraulic Excavator in 1:1th scale is equipped with a Caterpillar C9.3 B ACERT engine delivering 311hp Net Power. The machine has a operating Weight of 81.900lb and a GDC Bucket Capacity of 2.97yd3. Key Features of the Caterpillar 336 Track-Type Hydraulic Excavators are a detailed cab interior, including "Bob" the operator. Authentic Cat Machine Yellow paint and trade dress. Functional boom, stick and bucket. Finishing touch are the authentic railings, grab rails and hydraulic hoses. I personally find it a missed opportunity that the stick is not equipped with a quick release coupler to give the collector an option to remove the standard bucket for another (Caterpillar) Bucket or Work Tool. Curious? Download the PDF? Click on the picture! 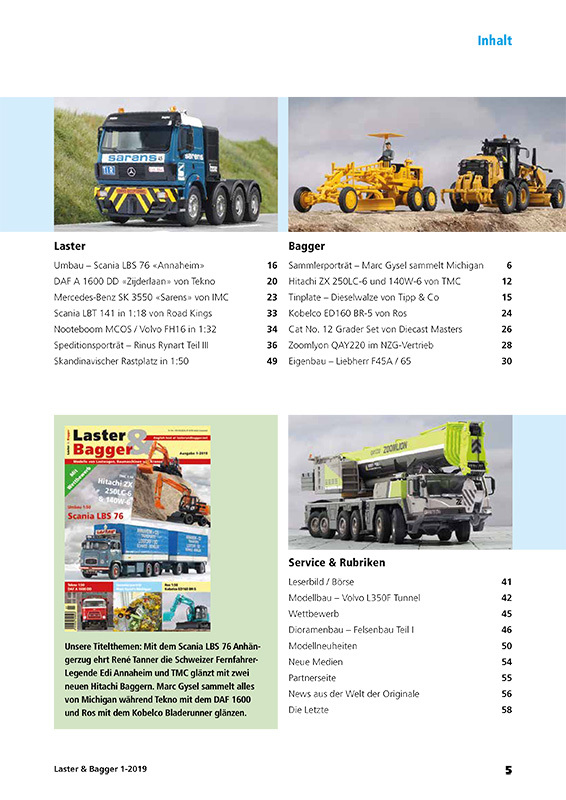 The first edition in 2019 of Laster & Bagger will be out soon! The magazine presses are running while you are reading this. The Magazine will be available half way January 2019. Scale model builders Gertjan and Wouter have both started with the building a custom scale model using parts from a 3D printed kit. 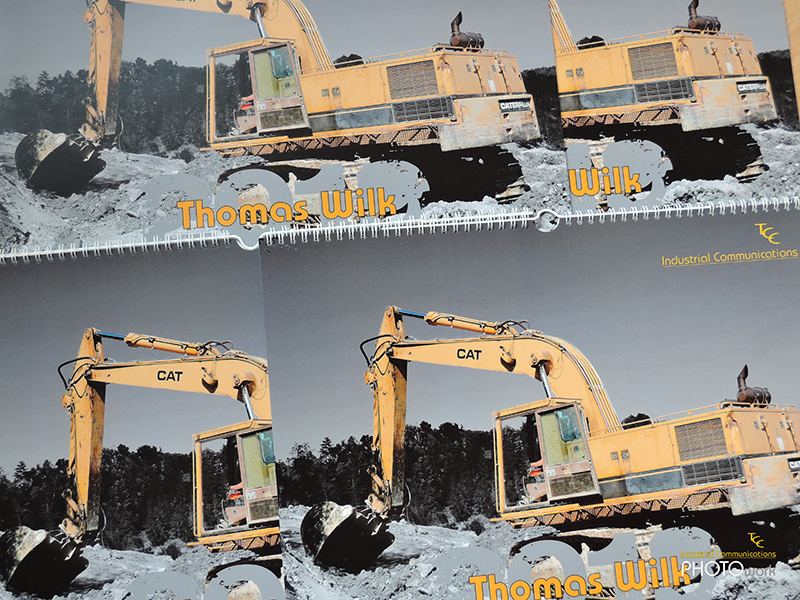 Today is the start of this "Making of Caterpillar 963D SH Shiphold/Port Handling Track Loader". 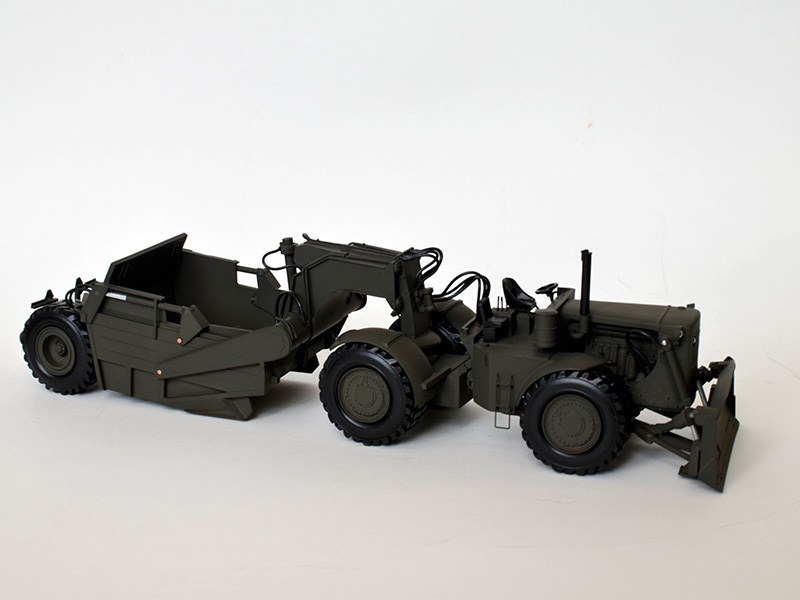 Both Gertjan and Wouter will take the coming period the original 3D Printed kit from Dirtboy's Customs in 1:50th scale in hand and make as we all know some major adjustments at some points and improves to end up as accurate as possible. It is their goal for the coming period in the "The making of Caterpillar 963D SH Shiphold/Port Handling Track Loader” to show you how their customs model will be achieved. Gertjan and Wouter will share their building skills through its construction photos with little notes to keep you informed of the building process. Gradually it shows the making of a unique model of the Caterpillar 963D SH Shiphold/Port Handling Track Loader and a welcome addition to their Caterpillar collections! 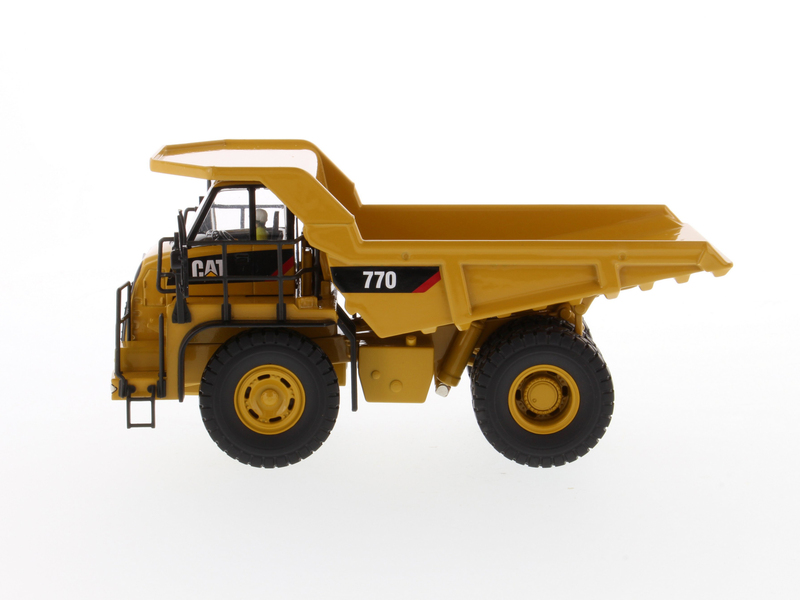 The Caterpillar 770 Off-Highway Truck in 1:1 th scale is equipped with a Caterpillar C15 ACERT engine delivering 476hp Net Power. The truck has a operating Weight of 157.000lb and a Body Capacity of 32.9yd3 which creates nominal Payload Class of 40 tons. 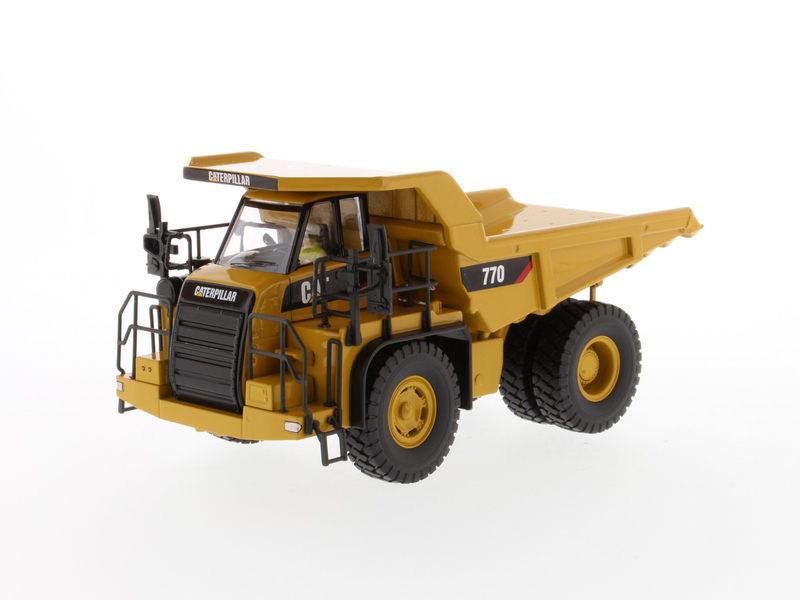 The Caterpillar 770 Off-Highway Truck is the first Diecast Masters model to be released in their "Core Classic Series". 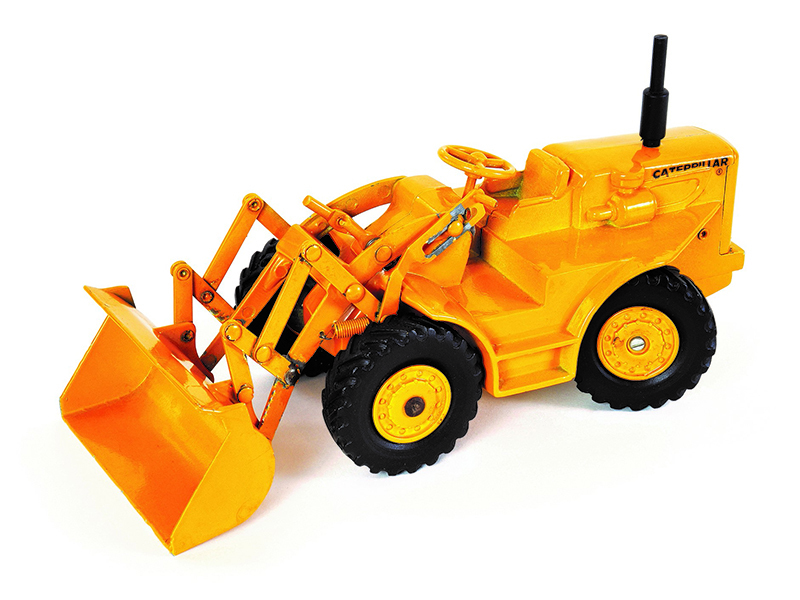 Like the 1:1 machine, it is the smaller version of the Caterpillar 772 Off-Highway Truck that was already released in 2009 by Norscot under #55147. Direct eyecatcher is, just like with its bigger brother 772, the centrally positioned cab. Other key Features of the Caterpillar 70 Off-Highway Truck are its detailed cab interior, including "Bob" the operator. Authentic Cat Machine Yellow paint and trade dress. Naturally the truck bed raises and lowers. Finishing touch are the grab bars, ladders and authentic trim detail. In one word: NICE! NEWS FLASH! 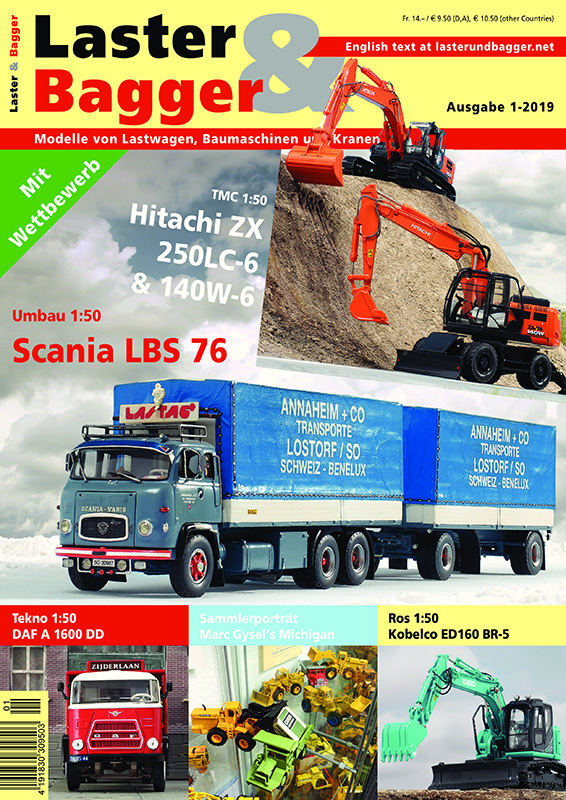 IMC Models Open House - MiniMovers DISCOUNT! On Saturday 1th december 2018 you are cordially invited to come by for a chat and a delicious cup of coffee at IMC Models in Houten. You are welcome between 9:00am and 4:00pm at the IMC Models building at Peppelkade 23. 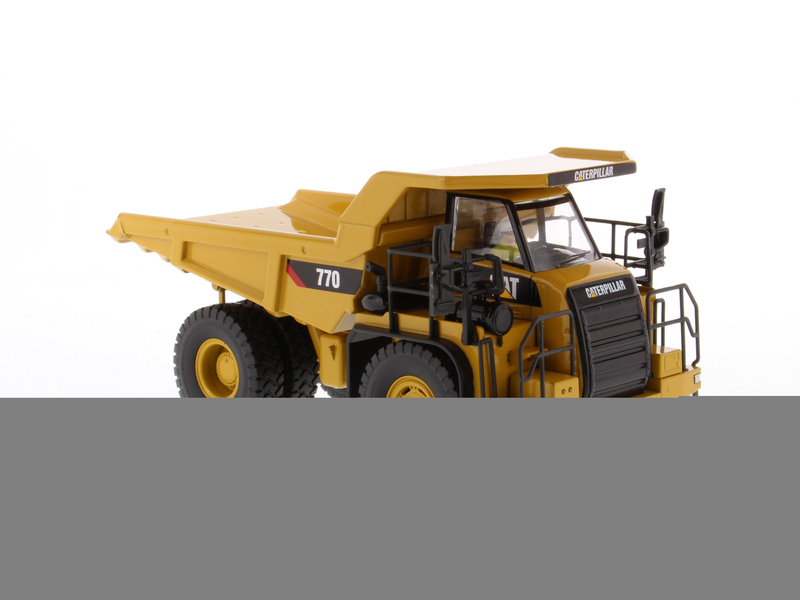 In the IMC Models Construction models Webshop you will of course find the entire Caterpillar line from Diecast Masters. In addition, the TII Shop, Nooteboom Shop and Sarens Shop are also located at the same adress. There are also always a number of remnant and B-choice models that you can get at a sharp price. 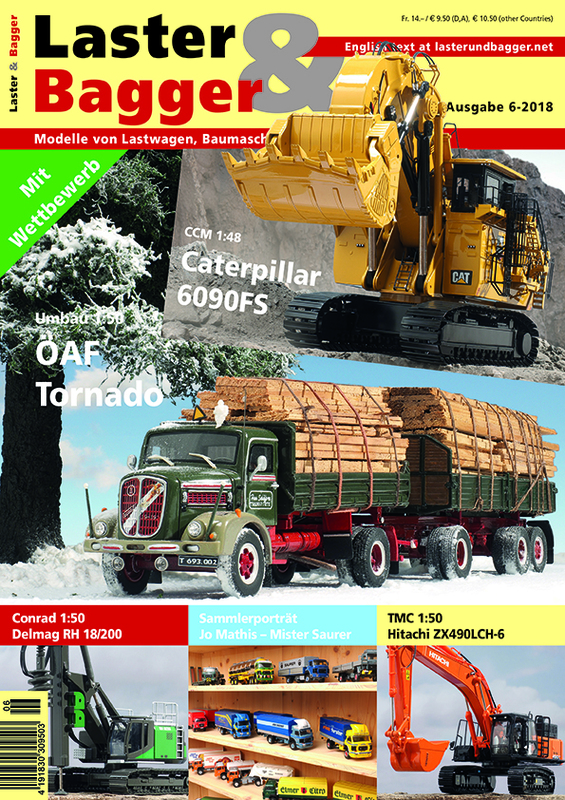 Highlights for this weekend are the, recently released Caterpillar 349F Hydraulic Excavator and both Caterpillar D11T Track-Type Tractors. 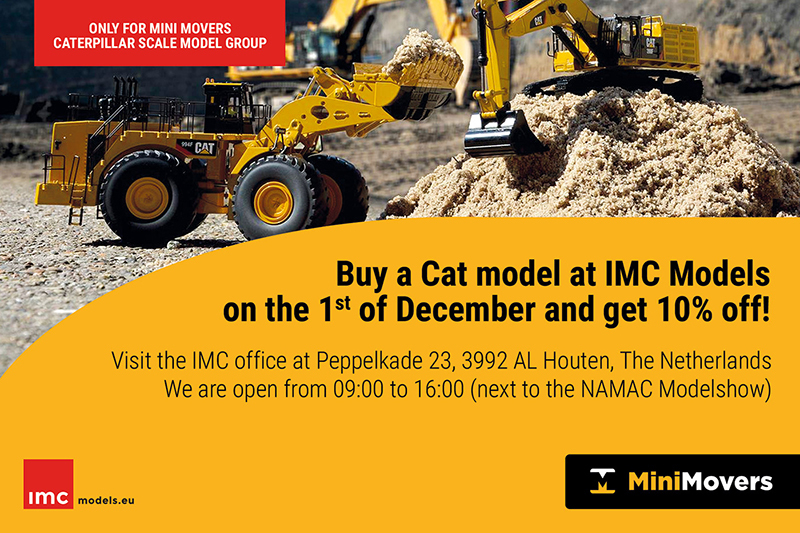 In addition, IMC Models has a unique deal for all MiniMovers fans and you ONLY get an EXTRA DISCOUNT of 10% on the purchase price of your Caterpillar scale models on Saturday December 1th, 2018 during this IMC Models Open House! Curious? Drop by and grab your DISCOUNT! The sixth and final edition in 2018 of Laster & Bagger will be out soon! The magazine presses are running while you are reading this. The Magazine will be available half way November 2018. 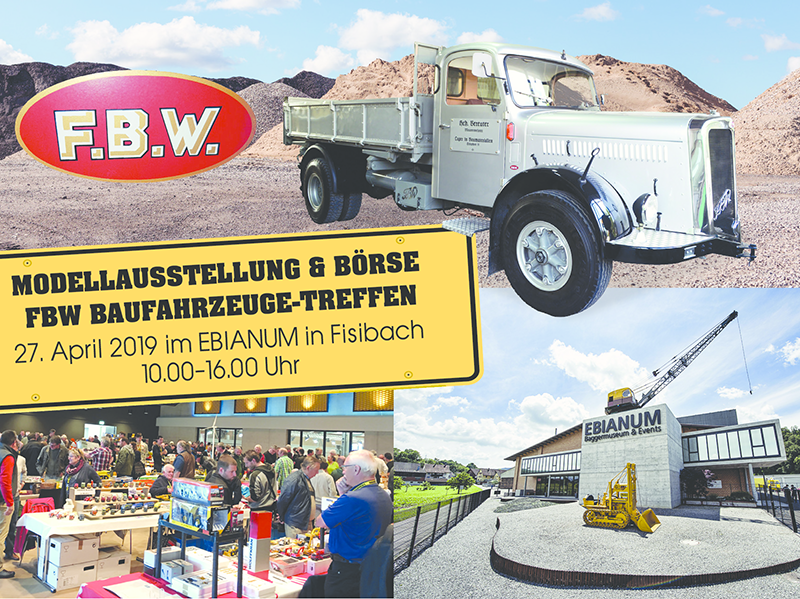 One of the highlights in this issue, among other interesting articles, is a new episode in the Model History brought by Thomas Wilk about the famous Caterpillar 944 Wheel Loader made by Ertl in 1:24th scale. The Caterpillar Wheel Loader story begins in December 1959 with the 944 wheel loader, 100% designed by Caterpillar driven off the assembly line at the Caterpillar plant in Aurora, Illinois. The 944 Wheel "Traxcavator", a 105 hp gas or diesel engine equipped with 2 yd³ bucket, was the culmination of a seven-year development effort and the beginning of Caterpillar’s leadership in the worldwide market of Wheel Loaders. Curious? Enjoy reading the full story! Very cool to get and also nice to give as gift: 2019 Up to date! This beautiful gift will cost you 18,86 Euro plus shipping and handling. Our advice: ORDER NOW!